**Updated 30 October 2018 – Reports are saying that Israa al-Ghomgham was not brought to court for her second hearing on 28 October in front of the Specialized Criminal Court (SCC). The hearing has been adjourned until 21 November 2018 and she remains held in the Dammam General Intelligence Prison. On 21 August, the public prosecutor in Saudi Arabia recommended a judge sentence six human rights activists, including a woman, Israa al-Ghomgham, to death by beheading. If the judge accepts the recommendation, the sentence will go to King Salman for his approval. If it is upheld, al-Ghomgham will become the first woman executed by Saudi Arabia for political crimes. European Centre for Democracy & Human Rights (ECDHR) is deeply concerned about the potential death sentence and the dangerous precedent it might set, and calls upon Saudi Arabia to release her and to establish a moratorium on the use of the death penalty with the aim of its abolition. Israa al-Ghomgham is among the six activists potentially facing the death sentence. A Shia activist, she was arrested in December 2015 along with her husband, Moussa al-Hashem, because of their role in organizing peaceful anti-government protests in Qatif in the kingdom’s Eastern Province in the wake of the Arab Spring, as well as for calling for human rights reform and the release of human rights activists. Since her arrest, Saudi authorities have imprisoned al-Ghomgham in Dammam General Intelligence Prison. According to the European Saudi Organisation for Human Rights, her trial opened after 32 months of arbitrary detention, during which time officials did not allow her access to a lawyer. Al-Ghomgham’s arbitrary arrest and trial without access to legal counsel contradicts international human rights standards. Furthermore, the prosecution’s request for the death penalty is disproportionate to the alleged offense that it can be designated as cruel and unusual. 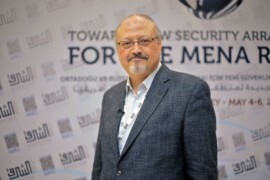 If the King ratifies the public prosecutor’s recommendation in al-Ghomgham’s case, it will indicate the very real threat of the death penalty against other human rights activists such as Samar Badawi, Naseema Alsada, Loujain Hathloul, and Aziza al-Yousef, as well as Waleed Abu al-Khair and Mohammed al-Bajadi. This will also demonstrate the length that the government will undertake in order to suppress fundamental freedoms. We condemn the threat of capital punishment against Israa al-Ghomgham and we call on the judge to reject it. We further call on Saudi Arabia to release al-Ghomgham and all other prisoners of conscience, and to establish an immediate moratorium on the use of the death penalty to be quickly followed by its abolition.